Get creative and enjoy endless combinations with our special onesies with front snaps designed to fit any of our 5″ x 5″ patch designs. Click here to view our Patch Design Collection. This adorable unisex onesie set is perfect for a baby boy or girl or when mom-to-be insists on keeping their little bundle of joy a secret until the big day. 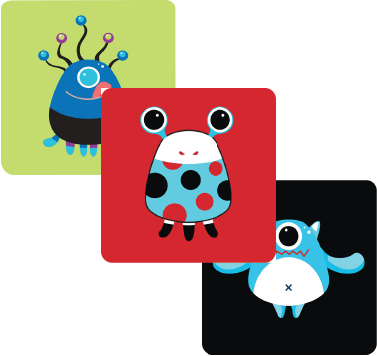 Set includes a soft, cotton turquoise baby onesie with a set of 3 interchangeable “Not So Scary Monsters” Collection patches: Huggable monster on black patch, hungry monster on green patch and little lady bug monster on a red patch. 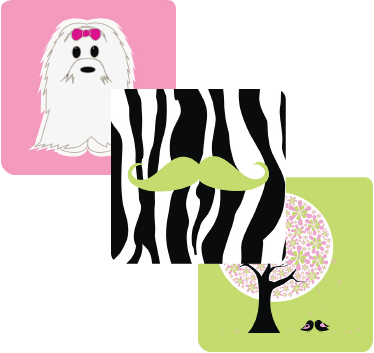 ♦ Add additional onesies and swap out the patches to make different looks. Get creative and enjoy endless combinations with our special onesies with front snaps. These will fit any of our 5″ x 5″ patch designs. 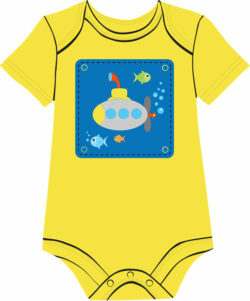 Your little explorer will be soaring with this adorable Baby auto collection onesie. 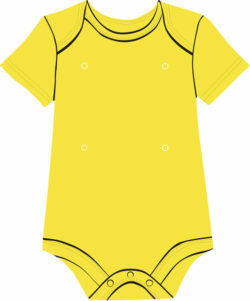 Soft, cotton baby onesie in Yellow with a set of 3 interchangeable “Babymobile” Patches. 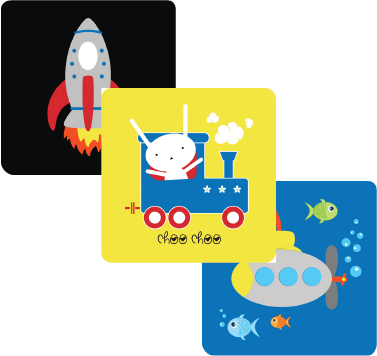 Baby Bunny on a train, Submarine and Rocketship patches included. Your little mademoiselle will be Tre Chic with this adorable Paris collection. 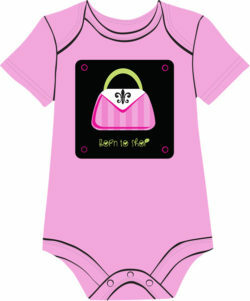 Soft cotton Pink onesie comes with a set of 3 interchangeable “Did You Say Paris?” Patches. 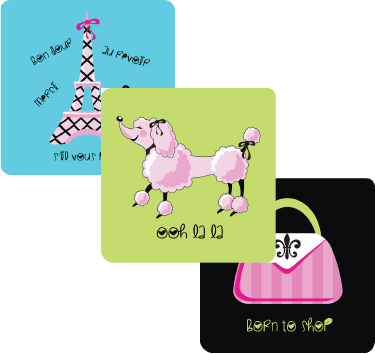 Born to Shop Purse on Black, Pink Poodle on Green and, of course, the Eiffel Tower in Turquoise. Swap out the patches to make different looks. 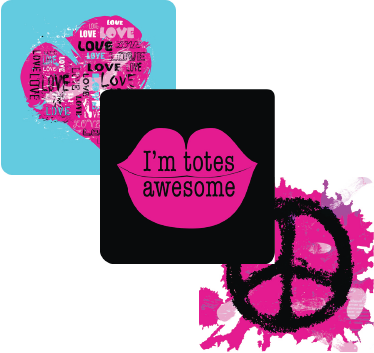 Your little one will be super stylin’ with this ‘Totes Awesome‘ collection. 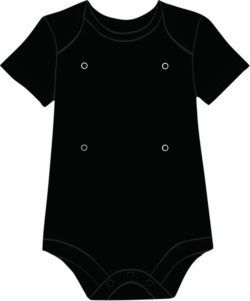 Soft cotton baby Fuchsia onesie comes with a set of 3 interchangeable Funkadelic Patches. Just when you thought it wasn’t possible, our animal collection Got Even Cuter with this adorable Animal v2 onesie collection. 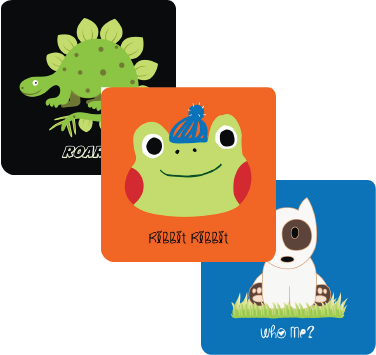 Includes a soft, cotton baby onesie in Green with a set of 3 interchangeable “It Just Got Cuter, Animal” patches: an adorable dog on blue, roaring dinosaur on black and a friendly frog on an orange patch. Your little one will be zoomin’ in this adorable Auto onesie collection. Soft, cotton red baby onesie with a set of 3 interchangeable “Planes, Trains & Automobiles” Patches. 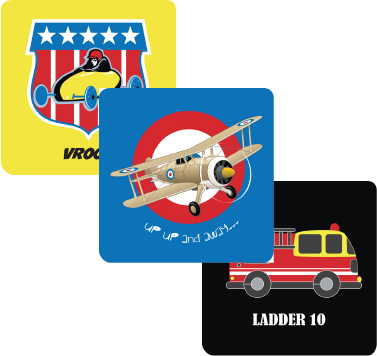 Biplane on blue patch, old-fashion race car on a yellow patch and an all America firetruck on black patch. 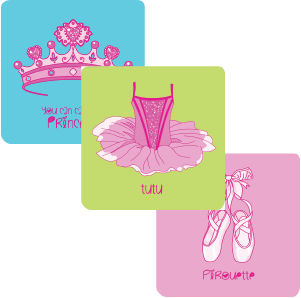 Soft cotton baby Fuchsia onesie with a set of 3 interchangeable Princess Ballerina Collection Patches. ♥ Make even more looks when you buy an additional onesie in a coordinating color! Your little one will look ‘So Cool’ in this adorable, soft cotton, green onesie with 3 interchangeable So Cool Collection Patches. 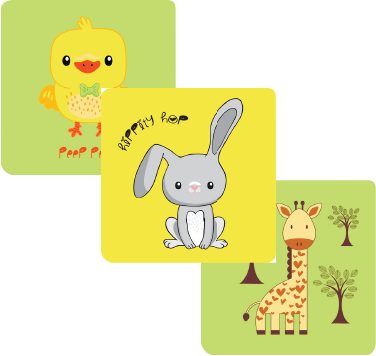 Set includes a soft, cotton yellow baby onesie with a set of 3 interchangeable “The Little” Collection patches: baby chick on green, a little giraffe on green and a baby bunny on a yellow patch. Your little one will be full of life with this ‘We Love Color’ collection. Soft cotton baby Turquoise onesie with a set of 3 interchangeable We Love Color Patches. 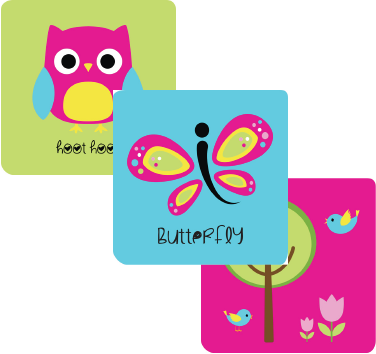 Owl, Butterfly and Tree. Get Free Shipping on all orders over $99 and free returns to our US returns center! Items are dispatched from the US. Other Questions? Contact us here.